Esmeralda Lawton is sick of the big city. “Ralda” was betrayed until trust became a theoretical concept. So it’s a dream come true when she buys an old estate, complete with historic cemetery. Okay, she isn’t excited about the cemetery, but she’s strangely drawn to the estate. Atonement, Tennessee, a quaint town, seems like the perfect place for her. However, her new life isn’t quiet. The house is full of antiques. Some have extraordinary properties — a brass bed causes strange dreams, and a mirror shows the truth of who you are. A mysterious neighbor secretly watches over the graveyard. There’s more to him than meets the eye, but what? Then there’s Gwydion, owner of Fae’s Flowers. She stubbornly resists her feelings for him. Ralda suspects that people are drawn to Atonement to, well — atone. She wonders what sins led her there. However, her ancestress made the mistakes. Atonement is home to more than humans. Supernaturals go there too. Some have fallen far. 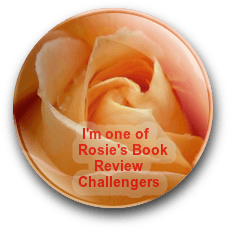 This book had me at old estate and cemetery – how can you resist a description like that? I settled in with it on a Friday evening and finished it Saturday afternoon. Upon meeting the mostly charming characters (you’ve always got to throw some loathesome/questionable characters in the mix) in Atonement, you just know they all have a story to tell or a secret they’re hiding and you won’t want to put the book down until learning all there it to know about them. Small town settings seem to have the best eccentric residents and make for fascinating, entertaining reads and Atonement is no exception. The book is primarily told from Ralda’s POV, but being a cat fan, I especially enjoyed the sections with Lilith the cat’s POV and think she’s deserving of her own book. 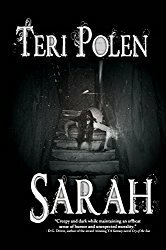 With a mystery, paranormal elements, and a touch of romance, the author has crafted a fun, engaging read that I’d recommend to urban fantasy fans. I look forward to reading the sequel – or perhaps Lilith’s book (maybe?) in the future. Hi Teri. What a terrific Tuesday surprise! Thank you so much for your kind words. I’m absolutely delighted that you enjoyed Atonement, Tennessee. Ha! I almost did not use Lilith — I wasn’t sure I could make it work. But I needed someone to tell parts of the story that Ralda couldn’t see. So Lilith came to be. I was quite surprised by how popular she became! So your wish is granted (mostly) — I already was giving her a larger role in Atonement in Bloom. Here in the USA it will soon be Thanksgiving Day. 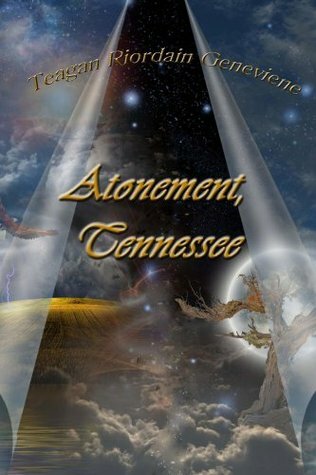 I can tell you that I’m very thankful for Teri Polen and the review she did of my debut novel, Atonement, Tennessee. I have to say that Atonement Tennessee is such a great title that it immediately piqued my interest. And this review is beyond compelling! Well done, and cheers ( or should I say slainte?) to the fabulous Teagan! Thanks, Claire! This was such a fun book to curl up with – highly recommend it. Slainte to you as well, dear Claire. Thank you for your kind words. Happy Thanksgiving and mega hugs! Thanks so much Tess. Your writing is nothing short of brilliant, so that means a lot coming from you. Mega hugs. A wonderful review of a perfectly astonishingly wonderful book, Teri. I adore Teagan, her blog and her book and this review captures the magic perfectly! Donna — you are so very kind. Thank you for always encouraging me. I am sincerely grateful to know you this Thanksgiving. Thanks to Teri and you and everyone here, the week IS treating me kindly now. (I admit i had an awful night.) It’s a terrific Tuesday now!!! Mega hugs. Thanks so much – and thanks for sharing! Loved this book, Teri. A very nice review. Thanks so very much, John! Your books are so wonderful, that means a lot coming from you. Thanks, John – I very much enjoyed myself. This was an extremely fun and entertaining read! You did a great job with the review – spot on! Thank you from my heart, Kathryn. Happy Thanksgiving! That’s so kind of you Kev! I won’t give up until I finish the sequel. 😀 Mega hugs. Many thanks for reblogging, Kate. Huge hugs.